Aboriginal values, law and the resource industry hit the discussion table together last week as the CommUnity Innovation Lab ended its first day with a multicultural flair. 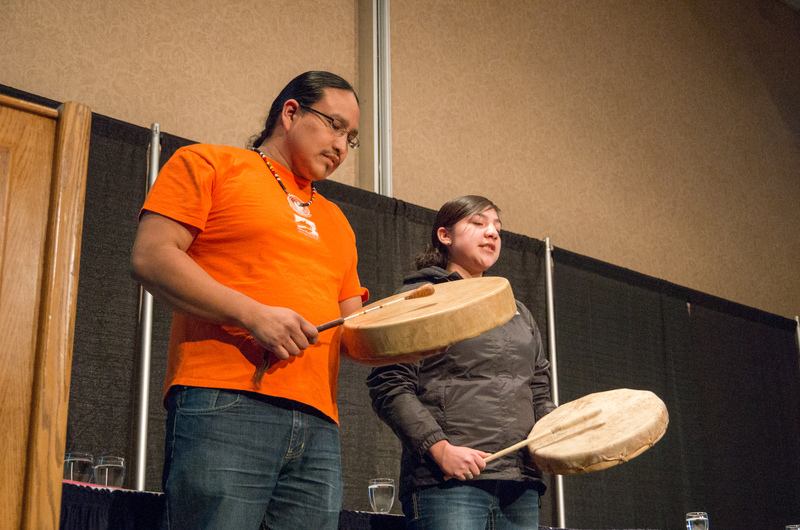 Integrating and Celebrating First Nations Values and Successes, a public talk with panel discussion, filled the CAC Grand Hall Feb. 3. Keynote speaker Beverley Jacobs, former president of the Native Women’s Association of Canada, argued Aboriginal values of balance, respect and land stewardship could enhance Canadian law. “[Aboriginal] law is about being responsible… We are responsible as human beings in our laws, and when we start talking about Eurocentric laws, we start talking about rights,” she said. TRU president Alan Shaver called the session a validation of TRU’s policies and values, adding that the institution hopes to increase intercultural understanding over the next five years. 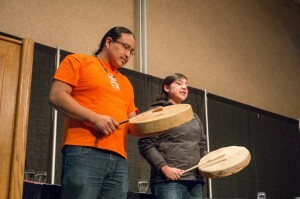 Jacobs was followed by a panel with representatives from Tk’emlups te Secwepemc cultural heritage, the B.C. Ministry of Aboriginal Relations and Reconciliation, the B.C. Ministry of Forests, Lands and Natural Resource Operations, TRU and Kwoiek Creek Hydroelectric Project. Patrick Michell, eco development officer for Kanaka Bar First Nation, said his community is set to benefit financially and socially from their partnership with the government and private energy company, Innergex, to put in a hydroelectric project. According to Aboriginal Affairs and Northern Development Canada the Kwoiek Creek project provides energy without building a dam by diverting 7.2 kilometres of the river through a powerhouse on reserve lands. Other panel topics included cultural heritage at resource development sites and traditional methods to ecological research. Band rose at the end of the evening to warn the audience against the word “integration.” Ignace said the word evokes the policies and abuses of the residential school system and may cause offence. “We have to be careful about our terminology,” he said. The CommUnity Innovation Lab was a three-day community engagement event held at the Campus Activity Centre.